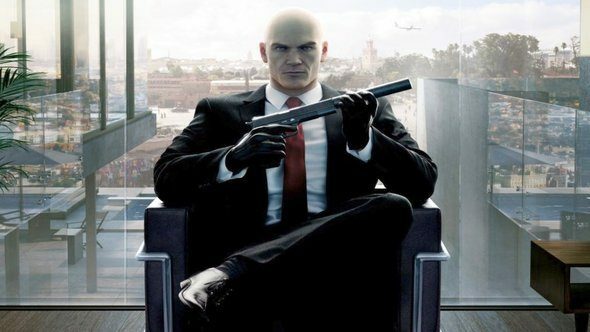 Hitman is bloody good, but some people complained about the game’s episodic structure, despite the fact it fit so well, like literally any clothing Agent 47 gets his blood-soaked hands on. Well, now those people can shut up. Slip into some comfy shoes and tiptoe through our list of the best stealth games. If you have an aversion to really digging into each of Hitman’s sandbox levels before moving onto the next one, you can buy the full game right now. The boxed edition boasts over 100 hours of gameplay, with 60 Opportunities (read: murderous set-pieces), 80 Escalation Contracts (read: hits that get harder), plus the thousands and thousands of user-created assassinations. On top of all this, the boxed version features the game’s soundtrack, as well as the score from the original game. There’s also a ‘making of’ documentary and some in-game gear, such as an exploding rubber duck and the white Requiem suit from Blood Money. Anyway, watch the new video above, created in the style of a shopping channel promo, because it’s ace, like the game, which was ace before it was in a box.